ePub is version available for most eBook readers. PDF can be sent as well. Please indicate your choice in your order and send your email address. We will send the proper version via email once your order is paid for. 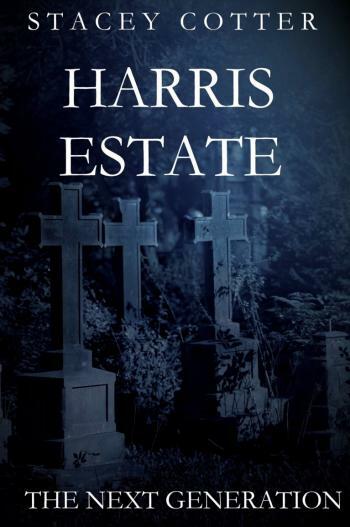 Harris Estate – The Next Generation, is the third novel in the Harris Estate series. Roughly six years have passed since Leah first entered the crumbling ruins of the Harris family property. Many questions still surround the mystery of the Harris Estate, but Leah has moved forward and is now focused on her life and family. That is until a new unknown terror rains down upon her once again, but this time her entire family is at risk. The amazing conclusion will answer all those lingering questions and take you on one more roller coaster ride of suspense, thrills and anticipation. It all begins with a simple visit to the cemetery. Are you ready for it?